Ubisoft has apologised after issuing an email that appeared to make light of the United States’ recent record-breaking government shutdown. The initial email, which was sent yesterday afternoon, was followed up by a second just over four hours later. The first email was sent to players eligible for the game’s private beta, due to take place between February 7-10. 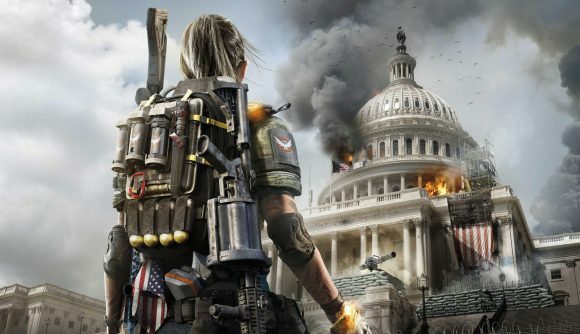 The main body of the communication discussed missions that players would be able to complete, but its subject line read “come see what a real government shutdown looks like in the private beta,” referring to the game’s post-apocalyptic version of US capitol Washington D.C.
That email saw an almost immediate backlash, resulting in the sending of a second communication later yesterday evening. The second email says that the initial message “was sent in error,” and was the result of “a grave breakdown in process.” Ubisoft apologised “for this error and the offensive subject line of the email,” saying that “we recognise the very real impact of the United States government shut down on thousands of people and did not intend to make light of the situation. The recent shutdown began on December 22, 2018, due to a disagreement over funding for Donald Trump’s border wall, and ran until January 25. The 35 day shutdown became the longest in US history, surpassing the 21 day shutdown of 1995-96. It left around 800,000 federal workers out of work or without pay, and caused major disruption across several federal agencies. Ubisoft has previously denied that its games have distinct political messaging, with CEO Yves Guillemot suggesting that the company wants to ask political questions rather than answer them. We’ve reached out to Ubisoft for further clarity around its apology email, and we’ll update this article when we hear back.